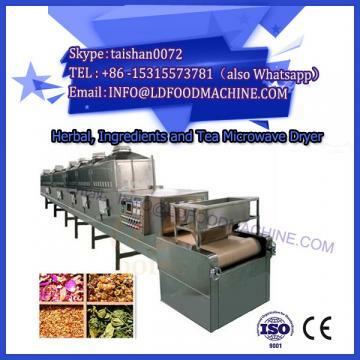 As early as the end of the 20th century, foreign scholars have studied the application of microwave sterilization machinery technology in food disinfection. For example, in the sterilization of skim milk, traditional ultra-high temperature sterilization can make milk storage for a long time, but it will greatly reduce the quality of milk. Studies have shown that microwave-sterilized skim milk can replace traditional ultra-high temperature sterilization. This method not only prolongs the shelf life of milk, but also has good color, taste and less loss of nutrients. Therefore, microwave sterilization is the ultra-high temperature of skim milk. An excellent alternative to bacteria. 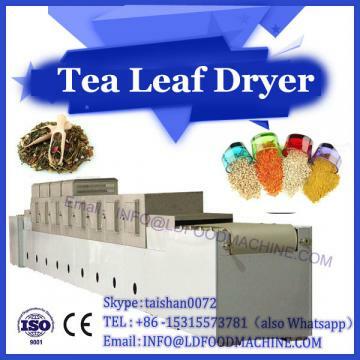 Since the sterilization technology of the dryer sterilization machine can maintain the nutrient composition of the food to a large extent, the sterilization effect is obvious, and the food can be extended in the shelf life without adding various preservatives harmful to human health, and has been widely applied to grain and oil products. , soy products, dairy products, condiments, fruits and vegetables, aquatic products sterilization and other fields. In recent years, microwave sterilization has begun to be applied in clinical work. Microwaves can sterilize metal-based instruments required for surgery. The scalpel, surgical scissors, steel plate, screw, steel needle and other instruments contaminated by the strain are sterilized by microwave radiation. The radiation time is 3 to 5 minutes to completely kill E. coli, Staphylococcus aureus and hepatitis B virus. In addition, due to bacterial contamination, the potential shortage of allogeneic bone required for allogeneic bone transplantation, foreign scholars can effectively contaminate contaminated bacteria by irradiating the contaminated femoral head allogeneic bone in a microwave oven for 2 min. . Conventional tissue culture vessels require high pressure steam for sterilization, which is time consuming and labor intensive and inconvenient to apply. Chinese scholars have shown that microwave sterilization can be used for sterilization of tissue culture vessels instead of autoclaving. Microwave sterilization replaces traditional pressure steam sterilization, which has the characteristics of short sterilization time, simple operation and little damage to nutrition. In addition, Chinese scholars studied the factors and effects of microwave sterilization, and the method and effect of using liquid medium instead of solid medium to culture virus-free potato bacteria. Experiments confirmed that in tissue culture, microwave oven can replace high-pressure steam sterilization. Drugs are most taboo, but in order to prevent high temperature from damaging the active ingredients of the drug, many drugs contaminated with bacteria cannot be sterilized with high pressure steam. According to reports, drugs that are unstable to autoclaving, such as vitamin C and aspirin, are more stable by microwave sterilization and have a lower degree of decomposition. In addition, many oral liquids are destroyed by high-temperature sterilization, which is prone to precipitation and has a strong bitter taste. By switching to microwave sterilization, the original nutrients of the oral liquid can be maintained, and the liquid color is clear and there is no precipitation. The medicine directly used for medicine is grown in the environment of bacterial reproduction, and contains many microorganisms, eggs, and cockroaches. These medicinal materials are routinely dried and sifted and sieved, and it is difficult to meet the requirements of the Chinese Pharmacopoeia for the indications of the bacteria, so they must be sterilized. Chinese scholars have found that microwave can quickly sterilize Chinese medicinal materials, without any residue at the same time, and will not destroy the active ingredients of the drug. The microwave drying and sterilizing equipment was used to test the water pill, water honey pill and concentrated water honey pill in the pill. 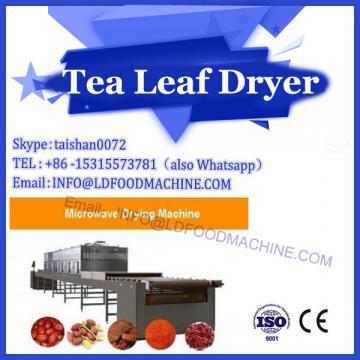 The results showed that the microwave has uniform heating, short drying time, production expansion, low temperature sterilization, high heat conversion efficiency and energy saving. Continuous production, improved labor efficiency and other advantages. One approach is to use pulsed microwave sterilization techniques with instantaneous high power and low average power. Its principle is to apply a high-voltage pulse of microsecond to millisecond width to the magnetron so that the pulse power reaches tens of kilowatts to megawatts, and the average power is only a few kilowatts. The microwave energy is added to the material to be treated, so that the material is subjected to high-energy microwave irradiation in a very short time, so that microorganisms such as bacteria lose their viability under the action of extremely high electromagnetic field, thereby achieving the purpose of sterilization. Its advantages are low average power, low energy consumption and high efficiency. Another method does not use high-power pulsed microwaves, but periodically cuts off the continuous-wave microwave power with a relatively low relative amplitude (in millisecond duration and millisecond-level stoppage). Thus, the bacterial body is subjected to periodic intermittent effects. If the cutting cycle of the microwave coincides with the oscillation period of the bacteria, resonance can be caused, the cell membrane of the bacteria is broken, and the bacteria are killed, thereby achieving the sterilization effect. Microwave sterilization technology has the advantages of high efficiency, high speed, no pollution after treatment, and has an absolute advantage compared with the traditional heat sterilization method. We should vigorously strengthen the research on the mechanism and application of microwave thermal effect and non-thermal effect, explore the technology of microwave low-temperature sterilization, and develop microwave sterilization equipment with superior performance, and contribute to the application of microwave sterilization technology in more fields.